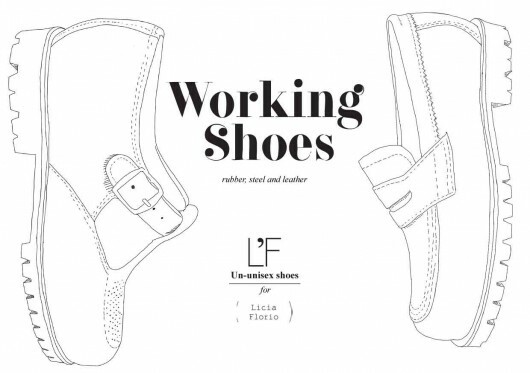 Licia Florio (designer) and Francio Ferrari (photographer), a couple in both life and business, started working on this project two years ago, developing a unique unisex brand of shoes based on the quality of our Made in Italy with a fancy twist. 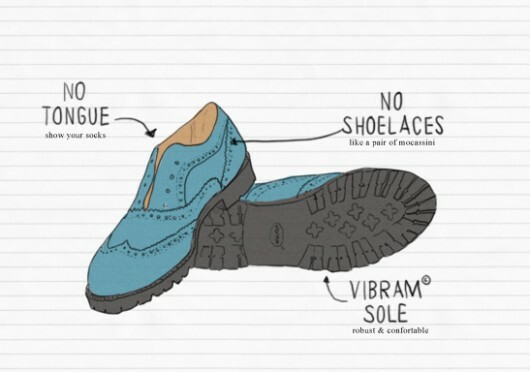 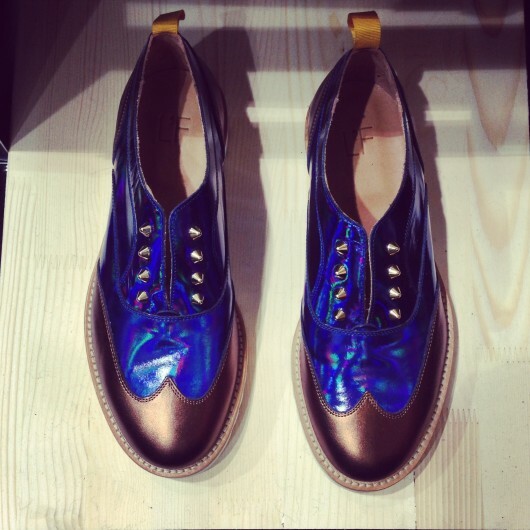 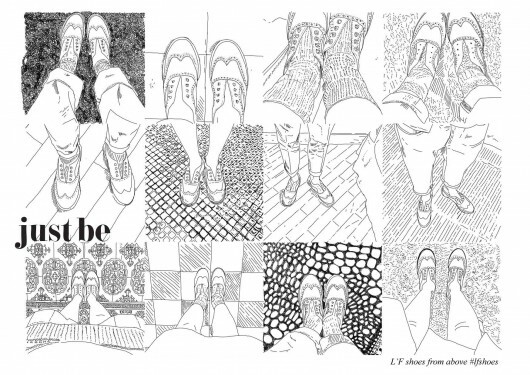 “Our shoes adopt a brogue model redesigned to be used as a pair of moccasins without shoelaces or tongues. 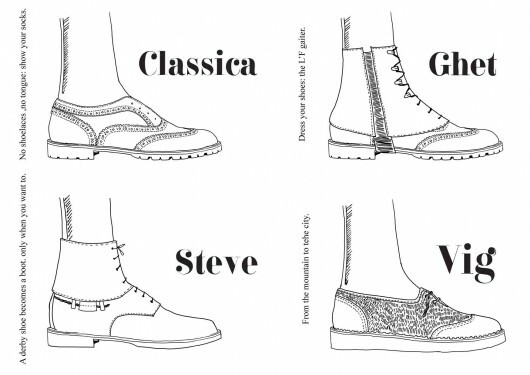 We have worked on colors, materials and accessories like studs or the new ghetta, showed for the first time last Pitti in Florence.” Above the original fanzine designed by Francio Ferrari with sketches of the upcoming L’F new fall/winter 2013-2014 collection.